DemoCurmudgeon: How long will Walker get away with ignoring his massive failures? 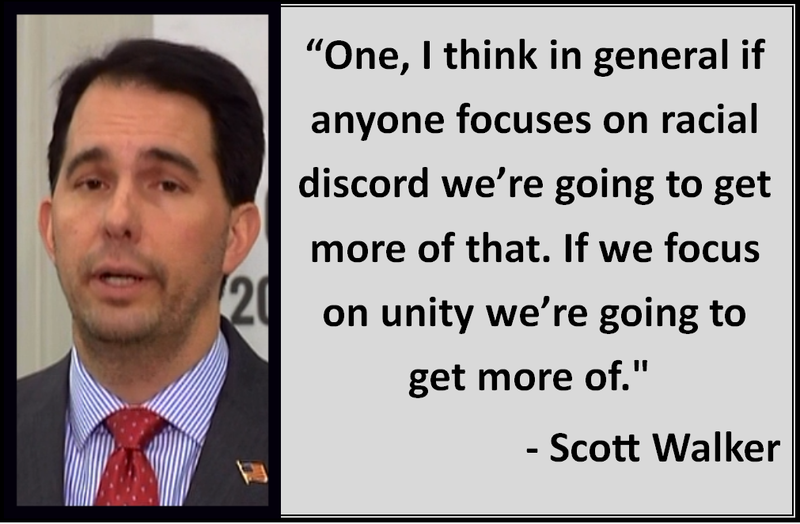 How long will Walker get away with ignoring his massive failures? Just to summarize, Wisconsin's young educate workforce is leaving the state for better paying jobs elsewhere, Republicans are stuck in the past trying to revive manufacturing and save coal fired energy, while the University took another big monetary hit with the possibility of losing it's biotech reputation when a ban is passed into law do to a phony Planned Parenthood video. And now the state is seeing layoff notices that rival the aftermath of the Great Recession. Focus on the positive folks. Never mind all that, unemployment is low and lots of people are working. We're cool, right? But this post isn't about the lousy jobs picture in Wisconsin, instead, it's about the ridiculous Jedi mind trick Scott Walker thinks is working so well on you and me. "Pay no attention to layoffs you've been hearing about." It's comically insulting. We saw a hint of it with the number of police shooting deaths. You know, if you talk about it, things will only get worse. And so it is with the massive number of layoff notices at a time when the country is in full recovery. What layoff notices? "If people look at the facts, again there's more people working now than there have been at any point in the last 20 years and we want that trend to continue, to see more people working," said Gov. Walker. "Right now, that's a sign the economy is doing well, people are working. The challenge is just finding more people to get off the sidelines and get into the jobs," said Gov. Walker. WKOW: Wisconsin employers notified the Department of Workforce Development (DWD) of 10,104 planned layoffs in 2015, a new high for Gov. Scott Walker's administration and the most in the state since 2010. 37 percent of the 2015 layoff notices came out of the Milwaukee area, Working class people were hit the hardest by the layoffs, with 38 percent losing their jobs in the manufacturing sector. The 2015 total of 10,104 does not include numbers from two of the more high profile state layoffs announced publicly in November 2015. Kraft Heinz will close its Oscar Mayer plant in 2016, eliminating 1,000 jobs. Just a few weeks later, Tyson Foods announced it will shut down its Jefferson facility by October 2016, resulting in the loss of 400 positions there ... putting the 1,400 or so jobs on the books for 2016. So if Guns make us Safer....? What next, a Wall around Milwaukee? Voter Fraud more a Republican Problem!!! Walker's Smart White People Nation! Shotgun Sarah says No to Blaze Pink sop to Women.